Attorney general Ellen Rosenblum confirmed Tuesday that an investigator with the Oregon Department of Justice had conducted digital surveillance on those who had used the #BlackLivesMatter hashtag on social media. The confirmation came after Urban League of Portland President and CEO Nkenge Harmon-Johnson sent a letter addressed to Rosenblum, saying her husband, Erious Johnson, the DOJ’s director of civil rights, had learned he was profiled by his own agency. 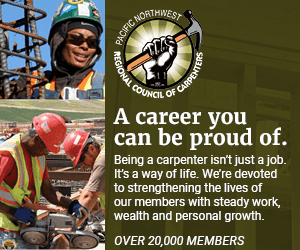 The letter, which was signed by seven other civil rights and labor leaders, was shared with media and posted to signing organizations’ websites. Rosenblum’s office did not reply to The Skanner’s request for comment, but did release a statement saying she was “outraged” by her office’s use of digital surveillance. Rosenblum also told The Oregonian Tuesday an investigator used an online search tool to look up Twitter hashtags as part of threat-assessment work, including use of the #BlackLivesMatter hashtag by users in the Salem area. That investigator, who she did not name, has been placed on paid leave, and there may be others, Rosenblum said. She also told The Oregonian she has hired an investigator to look into the department’s use of digital surveillance. Harmon Johnson declined to comment, deferring to others who had cosigned the letter. Shortly after her letter posted, the American Civil Liberties Union of Oregon put out a press release with statements from director David Rogers and legal director Mat dos Santos. “Under Oregon law, it is illegal for state law enforcement to gather information about people’s political, religious and social views, associations or activities. Not only is such profiling illegal, but it seriously threatens our democracy by chilling First Amendment speech and activities. We encourage the Attorney General to take immediate action and support a full and transparent investigation,” Rogers’ statement said. Portland attorney Bronson James, who represents the anti-violence group Don’t Shoot PDX, told The Skanner he found the revelations deeply troubling. The Skanner also contacted the Black Lives Matter Portland chapter but did not receive a response in time for its deadline. Black Lives Matter Portland is a local chapter of the national group started in 2012. The phrase has also been used by protesters and organizations not connected to the organization, including Don’t Shoot Portland, which held its first public demonstration in August 2014. Harmon Johnson also released a letter to Urban League members Tuesday hosted on the Urban League’s site in which she said she spoke for herself and her family only, expressing dismay that simply using a hashtag intended to express solidarity would make one subject to state surveillance. During a Wednesday-afternoon interview on Oregon Public Broadcasting’s “All Things Considered,” Rosenblum said the investigator had used a tool called Digital Stakeout. The company’s website describes it as a “cloud-based threat intelligence platform that mines the web in real-time and reveals what matters.” She also said the surveillance may have been illegal and a criminal investigation may be warranted. The ACLU of Oregon notes, in a statement on its website, the surveillance is a violation of a state law passed in 1981 prohibiting the collection of information about “the political, religious or social views, associations or activities” of any individual or organization unless it is directly relevant to a criminal investigation. Rosenblum is also leading a law enforcement racial profiling workgroup, established by House Bill 2002, which passed out of the legislature this year. The workgroup includes Kayse Jama, one of the signers of Harmon Johnson’s letter. The Urban League is encouraging members of the public to share stories, concerns, questions or support regarding state surveillance by writing to [email protected].